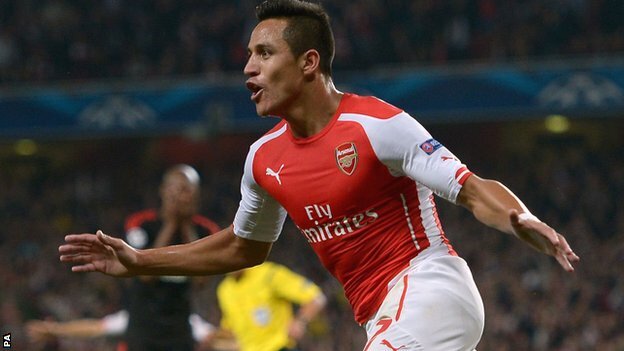 Arsenal are through to the Uefa Champions League group stages at the expense of a defiant Besiktas side. The Gunners were without their talisman Olivier Giroud who is currently nursing a leg injury, and instead gave Alexis Sanchez the central striker berth. Jack Wilshere should have fired the Home side to an early lead as early as the first ten minutes, but his effort went agonizingly wide. Demba Ba continued to trouble the Gunners defense with his body strength, but defender Laurent Koscienly who replaced Calcum Chambers debuted proficiently at central defense with Per Merteshacker. The home fans were sent into raptures in the closing stages of the first half, when Sanchez scored from a Mesut Ozil assist to gave them a vital advantage. In the second half, Mathieu Debuchy picked up a second yellow to make the final minutes a pulsating affair. But the team from North London held on to secure a spot in this season’s Uefa Champions League. Eagles’ Final Playoff Match Billed for Calabar- NFF Insists. Enyeama Beats Ibrahimovic to Ligue One Honour. Glo Premier League Matchday 29: Akwa United Thrashes Akure Gunners in Uyo. Tsonga Splits With Coach Rasheed. Coach Okey Emordi, Appeals to Fellow Clubs for the Release of Registered Players.